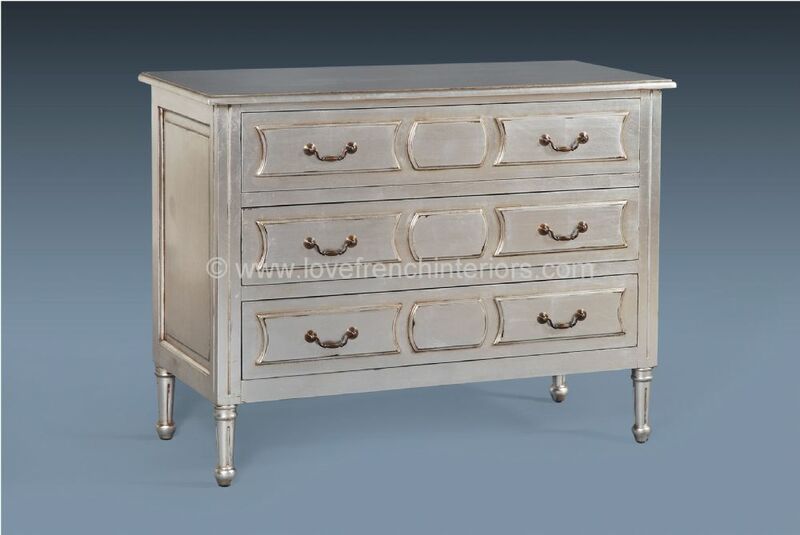 From our beautiful Bespoke La Rochelle silver collection is this Isabelle three drawer chest which has been influenced by classic french styles. 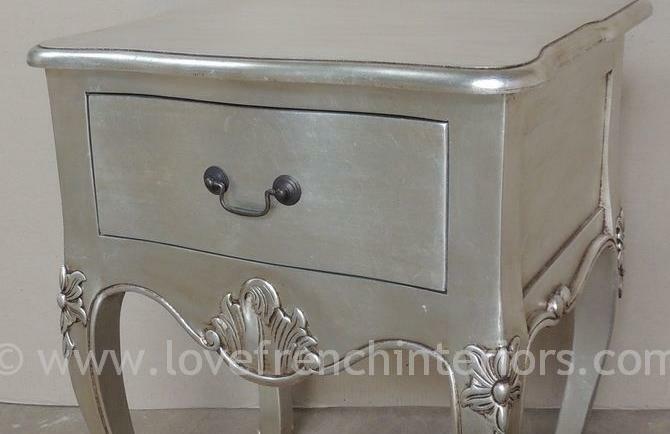 This chest has been hand carved from mahogany onto which is a hand applied antique silver leaf finish. Dimensions in cm: 82H x 105W x 50D This can also be made to other dimensions.